There is something extremely satisfying about being present at the start of a good thing. The beginning of Lamar Giles‘ career as a critically-acclaimed YA author was that good thing, and we at the The Brown Bookshelf are happy to have been there to celebrate it. 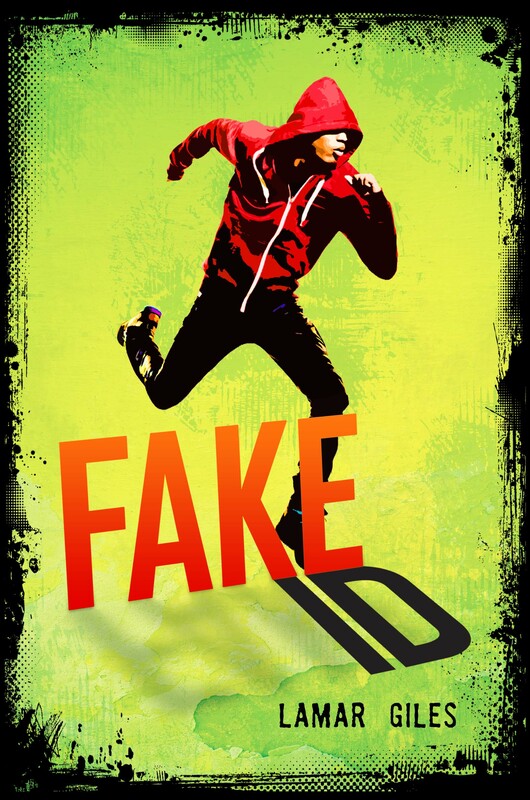 Since our original feature on Giles and his first traditionally published YA novel, Fake ID (HarperCollins, 2014) , Giles has gone on to publish Endangered (HarperCollins, 2015), and the soon to be released Overturned (Scholastic Press, March 28, 2017). 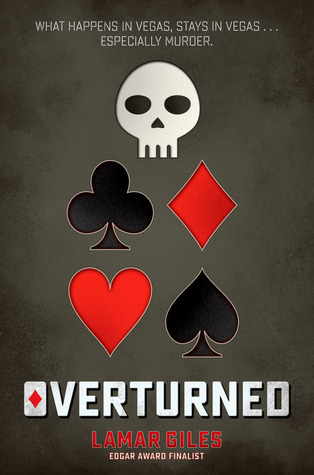 Another YA novel with HarperCollins, as yet untitled, is forthcoming. Giles is also a founding member of We Need Diverse Books. Please enjoy today’s Throwback Thursday spotlight on 28 Days Later honoree, Lamar Giles. Lamar Giles grew up in a small, riverfront city in Virginia called Hopewell. It is a diverse community known for its busy ports. Like most towns in the Commonwealth of Virginia, Hopewell is highly decorated with American history. Mr. Giles later moved to Chesapeake, Virginia, another city rich with history and natural wonders, where he currently resides with his wife. A love for comic book heroes and sci-fi novels started Mr. Giles on his path to publication. Although his debut, FAKE ID (Harper Collins) is the first book he published through traditional methods, this is not his first novel. From the blurbs sited on his website, he also has a flair for writing dark fantasy thrillers! 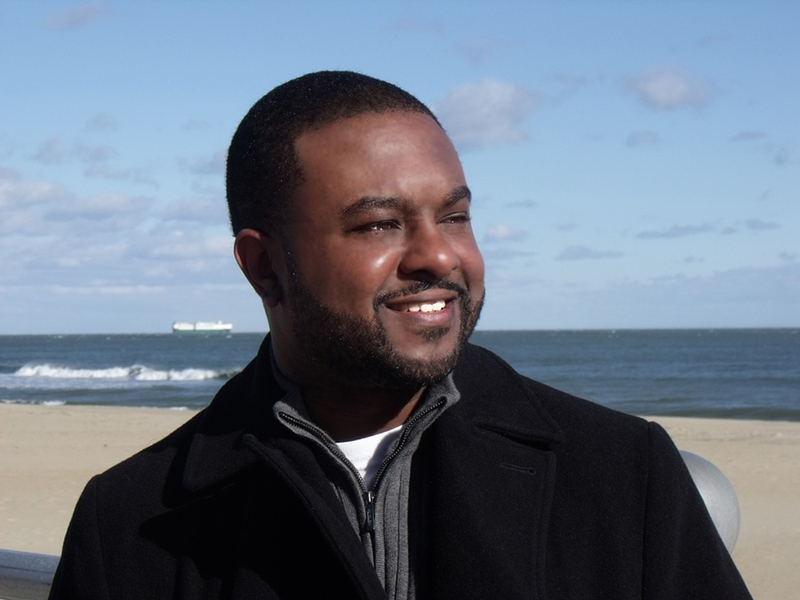 On this 8th day of February, The Brown Bookshelf is honored to highlight young adult author, Lamar Giles. My journey to publication began with a radioactive spider bite. I was drawn to comic books as a child (Spider-man in particular) and would beg my mom to buy them off the convenience store rack even before I fully grasped the English language. As I became a more competent reader, and learned to care about the captions and speech bubbles as much as the four-color action panels, it occurred to me that someone had to decide what happened in the stories each month. To a 6 year old, that seemed like power on par with the Hulk and Superman. Not that I craved power, but I was curious. Could I make up a character? Could I put him in danger and pull him out again? I got my chance a few years later when my elementary school held a Young Author’s Contest. I wrote a story called “Giant Dinosaur Inside” about a boy who roots through his breakfast cereal box for the toy at the bottom only to unleash a Godzilla-like reptile on the city. The story took 1st place and my questions were answered. I could make up a character. I could control the danger. I had a superpower. With great power comes great…well, you know. From that point, I felt compelled to tell stories. Though comics were my first love, I began to gravitate towards long-form prose when I discovered Stephen King at the wise old age of 11. Specifically, the novel IT, which, if you squint, COULD be considered 50% MG/YA. I started my first novel when I was 14, finished it when I was 17, then decided it was best for me and the world to never show it to anyone. I stand by that decision. I spent more than a decade after that writing stories and novels, mostly dark fantasy and horror. There were small successes, many rejections, and an infinite well of doubt. But I never gave up. Spider-man would be proud. I started FAKE ID in early 2009. Before then, I’d been writing stories for adults, and my intent was that FAKE ID would be an adult book, too. However, the story just wasn’t coming together. Around that time, I was reading some really great YA books and I thought about ways to shake up my stalling novel. I decided to change the age and gender of my protagonist, and I ended up with 15 year old Nick Pearson. The change offered fresh perspective and challenges that were really fun. I swear, the book just about wrote itself. I had a clean draft by the end of that year, but a number of setbacks followed. After four months of similar reactions from the major publishing houses, I got fed up and decided to experiment with self-publishing, putting some of my adult horror and dark fantasy work out in the world. I had some modest success and, frankly, forgot about FAKE ID. My self-pubbed work got the attention of the GoOnGirl! Book Club, a huge national organization that was holding their annual conference in Washington, D.C. in May 2011. They invited me to come hang out and speak about my work. It was on the train ride to that conference that I received a call from my agent about an incredible offer for FAKE ID from HarperCollins Children’s books. Nine months after going on submission, one of America’s biggest publishers wanted my high school murder mystery. It was exciting and I tell the story that way to make a point. I truly believe part of that offer coming when it did was because I’d decided not to leave my hopes and dreams in the hands of strangers. If no one wanted to publish FAKE ID, I was laying the foundation to publish it myself. I think the universe rewards preparation. Not only that, I feel like all those previous rejections were for the best. After all, I didn’t want to be with an editor/publisher who had lukewarm feelings about my work. I’m with a publisher who GETS me. HarperCollins has shown great faith and we’ll be doing at least two more books together. I never thought my work was “dead in the water” and I’m happy to be with a publisher who feels the same. Well, as I mentioned, there was Stephen King. IT, followed shortly after by THE STAND and THE SHINING. Once that fuse was lit, well, let’s just say I learned to hide my paperbacks in my backpack because I was reading at a level that seemed to frighten my 6th and 7th grade teachers. King wasn’t all I read at that time, though. I had an appreciation for the Charlie books (Chocolate Factory/Great Glass Elevator) by Roald Dahl, probably because I read them like horror stories. There were others, but it was discovering the work of Tananarive Due and Steven Barnes in my late teens that really put me on the path of pursuing a publishing career. Those writers were like me, and wrote the kinds of stories I liked to write. They’ve published two YA zombie novels recently, DEVIL’S WAKE and DOMINO FALLS that really appealed to my sensibilities. Some people find it strange that I now write YA Thrillers when I have such strong ties to darker work, but I don’t see a huge difference. In my thrillers, my heroes still face off against monsters, they’re just human monsters. Thank you, Mr. Giles, for your contributions to the world of YA novels!